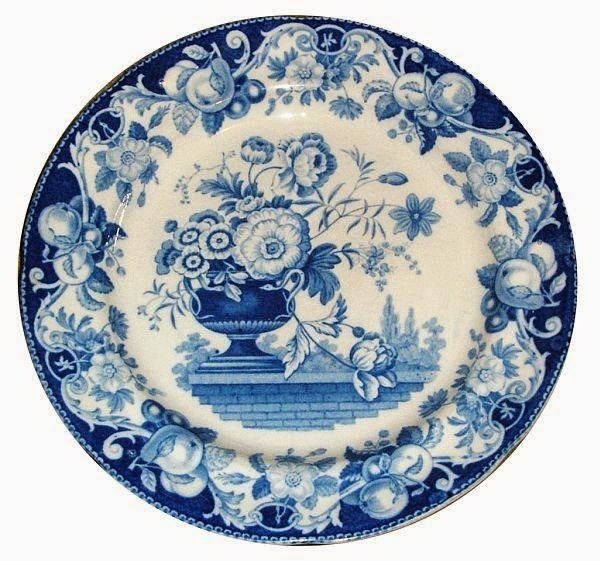 Dishy News - A Transferware Blog: SNAKE IN THE GARDEN? 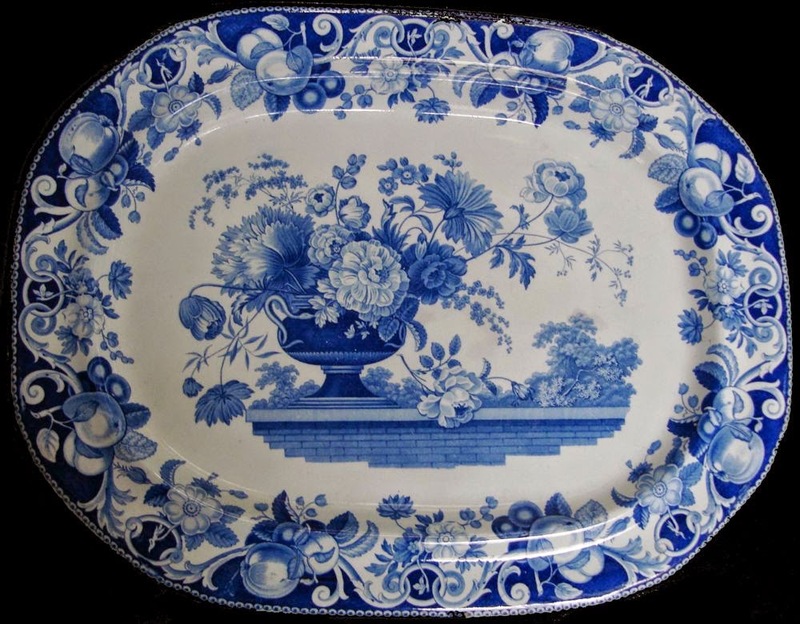 Davenport (1794-1887) 21 inch by 16 inch platter, ca. 1825 (notice the snake/worm on the left). 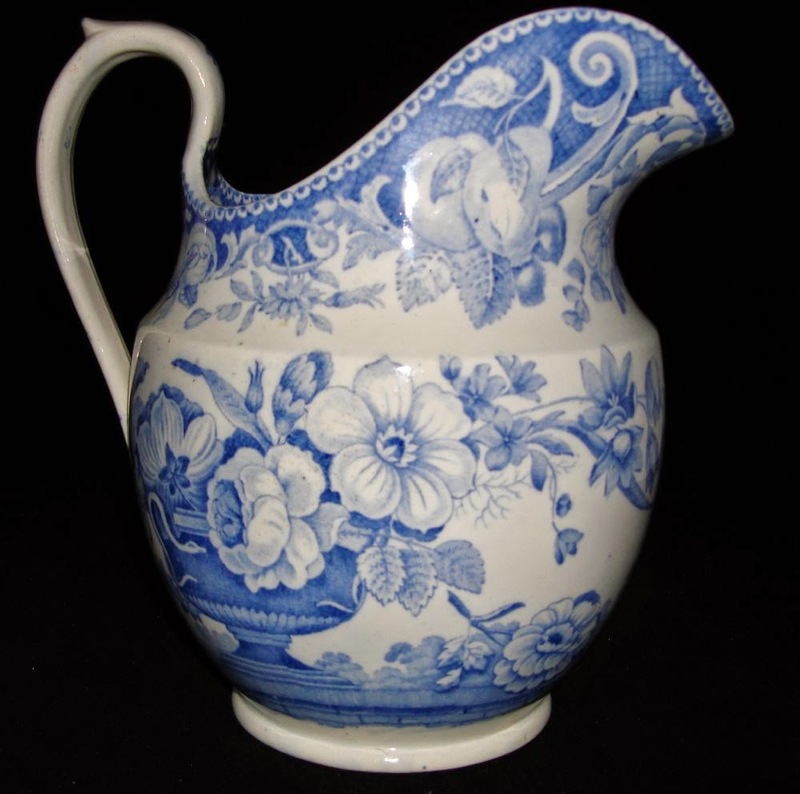 As you know, one of my favorite things about transferware is what I learn from studying it. I have always thought the animal in this Davenport pattern was an earthworm. However, I was told that the animal could not be a worm because worms are not that big. It had to be a snake. According to Wikipedia, the average earthworm is: "Depending on the species, an adult earthworm can be from 10 mm (0.39 in) long and 1 mm (0.039 in) wide to 3 m (9.8 ft) long and over 25 mm (0.98 in) wide, but the typical Lumbricus terrestris grows to about 360 mm (14 in) long." It is also said that the snake or worm is a handle on the vase. It should be remembered that patterns are not necessarily representational. They can be subject to the whim of the original artist or engraver. The animals could be handles, but are not centered, and look a bit frail for a handle. Davenport 8.25 inch plate (notice two snake/worm "handles"). Davenport water jug (notice the snake/worm on the left). I just thought a worm fit in with the natural look of the flower arrangement. I have brought worms and other critters into my house along with garden flowers. Luckily, no snakes! However, when I visited my family in the Loire Valley in France a few years ago, I was told to beware of vipers in the garden. That said, the animal could also be a European viper!